Are you in the mood for a new vehicle? Do you need to get an upgrade? If an SUV has caught your eye, you should check out what INFINITI has in store for you. Join the other Mandeville, LA, drivers who have said, “I want to shop for an INFINITI QX80 near me.” This SUV has some excellent qualities that you don’t want to pass up, especially when you need a reliable, durable, and comfortable vehicle for your family. Whether you’re on the roads of Mandeville, LA, or whether you’re off to a far-away destination, nothing is more important than safety. The designers and engineers at INFINITI know this, which is why they’ve equipped the QX80 with some terrific safety features. This vehicle comes with four-wheel antilock brakes as well as emergency braking assist to help you avoid accidents. If you do collide with something, the dual front side-mounted air bags and front, rear, and third-row head air bags will deploy. You’ll also like the tire pressure monitoring and LED headlamps. One reason you hear people say, “I’m looking for a good INFINITI QX80 near me” is because this SUV has the space to hold your belongings and still afford plenty of space to stretch out. It has a maximum cargo capacity of 95.1 cubic feet and 16.6 cubic feet of cargo capacity when all the seats are in place. It has an EPA interior volume of 167.9 cubic feet as well. The QX80 can tow up to 8,500 pounds and has a maximum payload of just over 1,650 pounds. As you drive in and around Mandeville, LA, you know you’ll put your SUV’s tires and wheels to good use. These features won’t disappoint you. The QX80 comes with all-season tires and 20-inch-by-8-inch alloy wheels. You’ll also have a full-size matching spare. You can’t go wrong when you drive this remarkable SUV in Mandeville, LA. 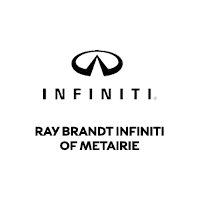 Tell yourself, “I’m ready to test-drive an INFINITI QX80 near me,” and stop by Ray Brandt INFINITI today.